What if I were to inform you that you can both work out and relieve stress at the same time? Yes, it is true. Using a modified stress ball like StringyBall can be an inexpensive and a quick way to reduce stress and elevate your mood. These are palm sized squeeze balls on a string, that come in three different densities – soft, medium and firm. It is easy to use these and only demands a little concentration making it an ideal instrument to be utilized in the workplace. According to the American Institute of Stress, "80% of workers feel stress on the job, nearly half say they need help in learning how to manage stress and 42% say their coworkers need such help". They have also identified some work related stressors including technology overload, unrealistic deadlines, unmanageable workloads and poor work relationships through research. When you become exhausted, you are bound to feel angry, irritable and withdrawn. Below are some warning signs indicating you are too stressed out. These are signs that will signal of an impending health hazard which will occur if you continue without using some form of stress buster. Common stress related preventable ailments include heart diseases, diabetes, asthma, gastrointestinal problems and accelerated aging. You may have noticed that people cope with stress in different ways involuntarily. Examples are tapping their feet, tapping on the table top, nail biting, playing with coins and much more. Instead of doing those, you can use a stress ball which has proven its ability to quickly fix stress over and over again. 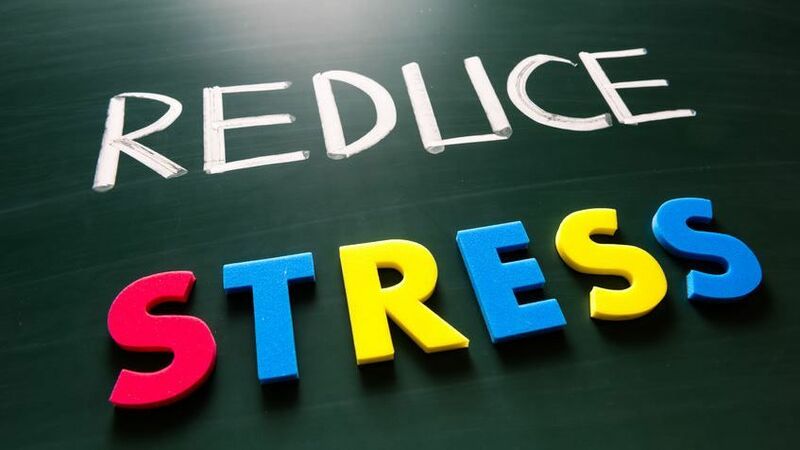 How does it reduce the stress? While you keep squeezing and rolling the stress balls your brain become occupied in processing that information distracting yourself from worrying. Here your anxiety and depressive thoughts are redirected to the stress ball. When you squeeze the stress ball, small muscles in your hand and forearm contract. During the release, the corresponding muscles relax causing stress relief of muscle groups. This process is called ‘progressive muscular relaxation’ (PMR). Recent studies have suggested that PMR can also reduce the blood pressure, heart rate and can elevate the pain threshold making you more resistant to external stress. By enhancing blood circulation, StringyBall can prevent accumulation of nitrogenous waste products in hand tissue thus reducing muscle stress. Repeated squeezing for some time can induce muscle ache and cause it to send signals to the brain which in turn releases endorphins. Endorphins are a group of peptide hormones with unique anti-stress abilities thereby lessening the effects of stress. Repeated squeezing and rolling processes can be considered a regular work out. Much like with other workouts, it will enhance the blood circulation which consequently increases the brain oxygen flow making you feel refreshed. For individuals with busy day to day life, StringyBall the stress ball on a string can be immensely beneficial in coping with daily challenges. It’s unique design which allows you to tether to your wrist or palm provides a peace of mind that the stress ball will not roll away or fall. The ability for hold the ball in place is a great benefit for users with limited mobility and those who depend on others to assist them in exercising. People are known to take their StringyBall with them when they go for a walk or outdoor excursion, which has the added benefit of utilizing this time for stress relieving exercises. 3. Does squeezing a stress ball help in relieving stress?